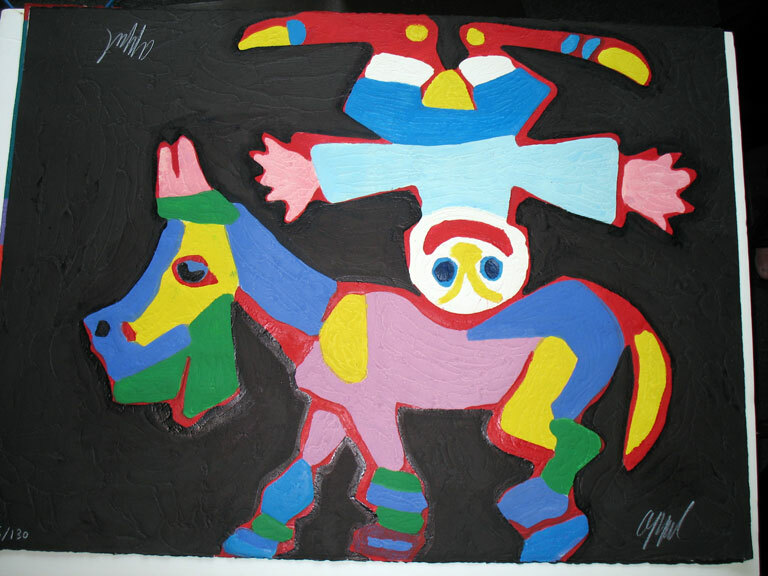 Karel Appel is a Dutch painter, born in Amsterdam. 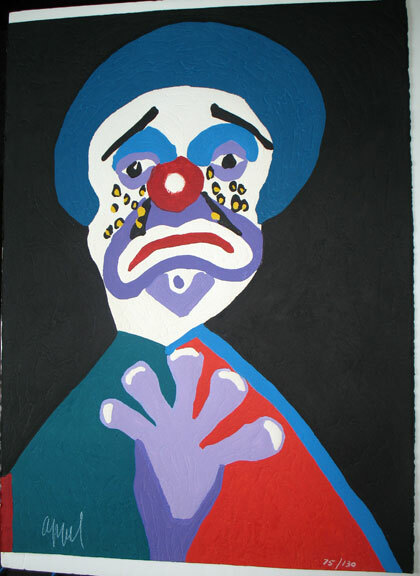 He was influenced by Pablo Picasso, Henri Matisse and Jean Dubuffet. His 1949 fresco in the Amsterdam City Hall caused controversy and was covered up for ten years. 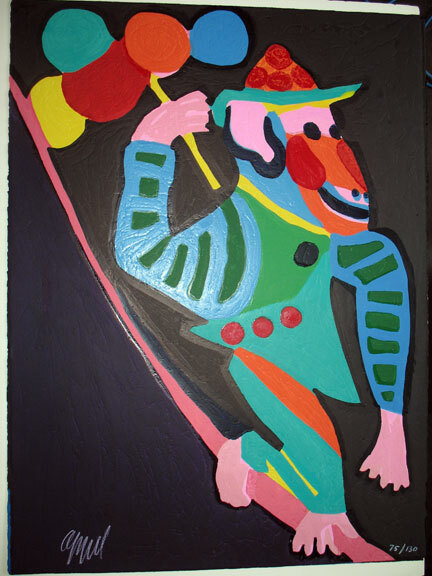 In 1950 he moved to Paris and then developed his international reputation traveling to Mexico, the USA, Yugoslavia and Brazil. 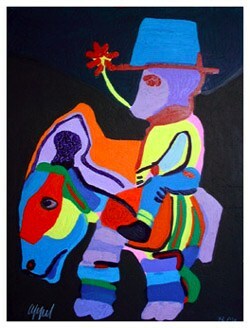 He is particularly noted for his mural art work and colorful, whimsical art prints and now lives between New York and Florence. 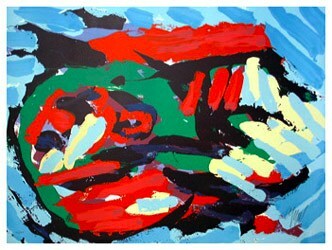 View Karel Appel prints here. 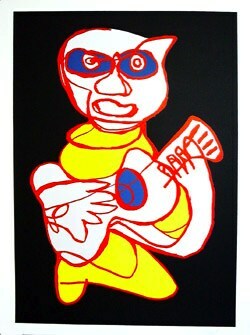 This is only an example of Karl Appel art we have available. 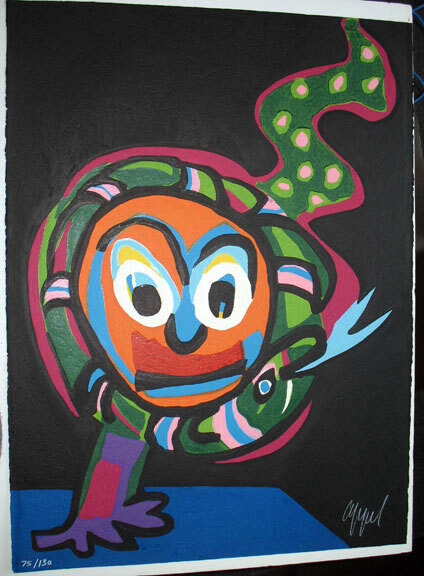 Contact us for more Karl Appel art available or if you have a particular piece of art you are looking for.